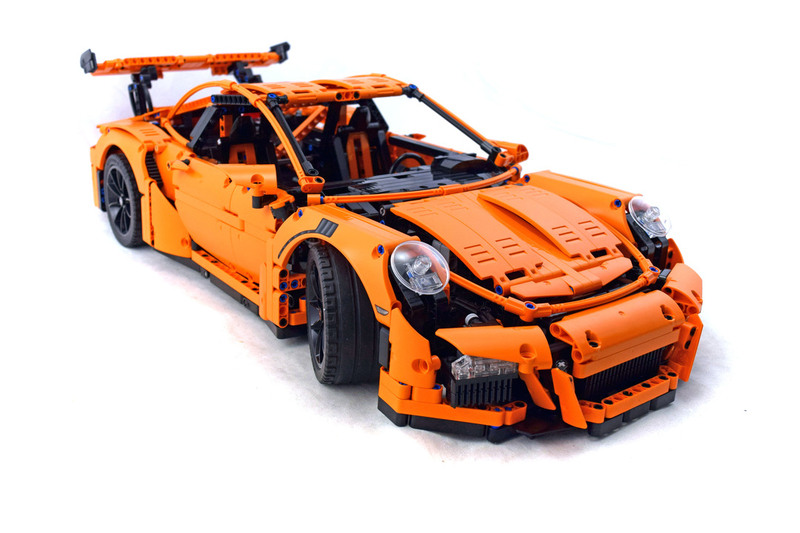 Porsche 911 GT3 RS (LEGO 42056-1) is a very cool large model build from the Technic line. The orange is such a cool color scheme. There are so many creative methods for creating this sports car. You can open doors, hood, trunk. Steering wheel turns and everything. Set comes with 2704 pieces.